Empathy matters in design and new product development (e.g., Dev Patnaik’s Wired to Care). In order to deeply dive into target customers’ thoughts and feelings, marketers have used some combination of observation and interview (i.e., market-oriented ethnography in Rosenthal and Capper 2006) and even pictures (e.g., Zaltman Metaphor Elicitation Technique). Academic researchers in the marketing area continue exploring tools (e.g., Listening-In in Urban and Hauser 2004). However, designers seem to invest more effort into empathy probably because they are able to develop tangible devices. 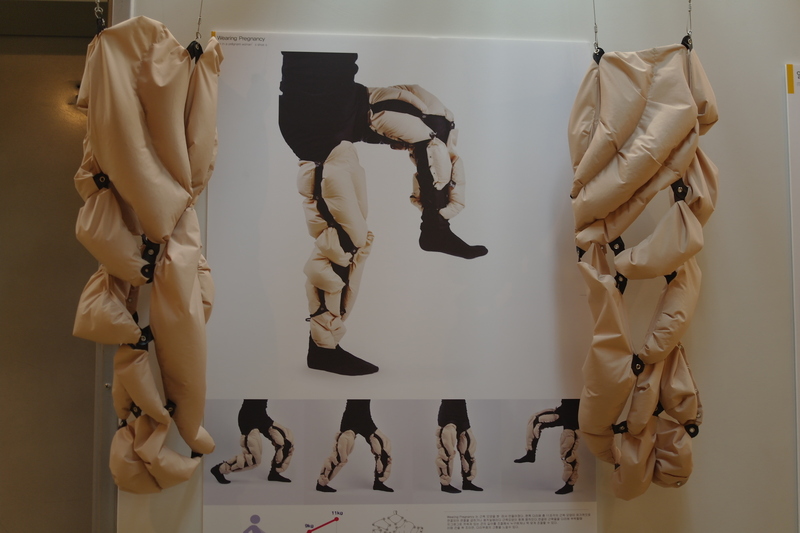 Last year, I met several interesting empathy support devices at the exhibition by the College of Design at Kookmin University. Students developed a series of devices that help researchers put themselves into the shoes of pregnant mothers, asthma patients, and even the seniors suffering from the pain of hands and legs. In order to empathize them, researchers carry baby dolls or wear masks, gloves and sand sacks.